We continue to examine the discussion around “modernization” of nuclear weapons and today present an interview with Bob Peurifoy, who retired as Vice-President of Sandia National Laboratories in 1991. He spent 39 years working on nuclear weapons, and was involved in the design and development of five of the seven weapons in the current U.S. arsenal (the B61-mod 3, 4, and 7; W76; W78; W80; and W88). ATN: Some senators have stated that they need better assurances that U.S. nuclear warheads will be “modernized” before they can support New START. Does the stockpile need to be modernized? Peurifoy: I don’t know what “modernized” means in this context. I find in my thesaurus that the antonyms for “modernize” include wear, outdate, and antique. None of these terms applies to the existing stockpile. ATN: Don’t current life extension programs modernize warheads by replacing any problematic components with newly designed versions, as needed? For example, haven’t they replaced vacuum tubes in the radars with electronic components? Isn’t this “modernizing” the warhead? Peurifoy: No, the life extension programs are designed to maintain the existing stockpile. Some components decay and will eventually need to be replaced, but stable components do not need to be replaced with more modern components. Vacuum tubes don’t decay; they’re stable. 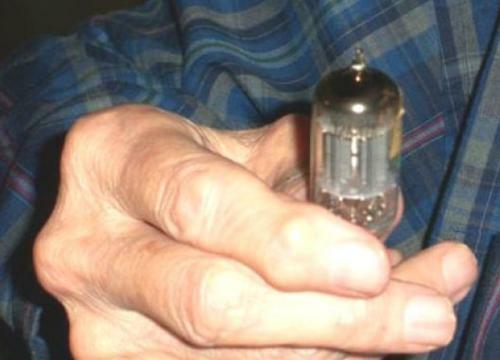 There is no reason to replace a vacuum tube unless it is accidentally broken. And I think you should replace it with a vacuum tube if you can still get them today. Paul Hommert’s statement to the Senate Committee on Foreign Relations that the radar for the first B-61 bomb was originally designed for a five-year lifetime is not true. If you consider the nuclear explosive package (consisting of the primary and secondary explosives and the radiation case), almost all the components are stable over long time periods and will be good for many years if kept dry. We now know the plutonium pit is good for a hundred or more years. In any event, it is important that the United States keep any modifications to the nuclear explosive package to a minimum. As noted on page 3 of the 2002 National Academy of Sciences (NAS) study Technical Issues Related to the Comprehensive Test Ban Treaty, chaired by the current White House Science Advisor, John P. Holdren: “It is important that a rigorous, highly disciplined process be instituted for controlling changes in nuclear components. Such a process must discourage deviations from the original specifications.” If you start to make changes to the existing nuclear explosive packages, you risk introducing problems that weren’t there to begin with. ATN: What is the current status of the U.S. stockpile, and how successful are current programs to maintain it? Peurifoy: I assert that the current stockpile is okay and, given proper attention, it will remain so. Programs are in place that will maintain it, and the folks in the trenches are doing a good job. The life extension programs work. I don’t believe more money is needed. During development, each device (nuclear explosive package) type in the stockpile was successfully yield-tested several times. Each device type experienced a successful stockpile confidence test, in which the warhead was removed from the stockpile and explosively tested. Perhaps 200 devices from the active stockpile have been destructively examined, with the plutonium pit cut open so the inside can be examined. The lab directors have confirmed stable performance of the warhead or bomb types in the stockpile for the past 14 years, since the beginning of the Stockpile Stewardship Program. Surveillance evaluations of weapons that are brought in from the field for non-nuclear testing, and for accelerated aging studies – where components are artificially aged faster than real time – are showing good age-stability. U.S. weapons are holding up well as they age. U.S. nuclear weapons are highly reliable. As the NAS study states on page 25: “Nuclear subsystems in the enduring stockpile historically have been certified to achieve the specified yield range with 100 percent certainty … provided that the firing, neutron-generator, and boost-gas subsystems function within their specified tolerances…” In other words, as long as the non-nuclear components work, the nuclear components will be 100% reliable and the weapon will explode at its design yield. The non-nuclear components can be tested as often as desired. U.S. nuclear weapons also meet stringent safety standards. All warhead and bomb types in the inventory meet the 1968 Premature Yield standards, so the probability of an unintended nuclear explosion is less than one in a billion, and less than one in a million if there is an accident. There is no quantitative DoD standard for an accident that would scatter plutonium. ATN: What is your take on the new weapons facilities that the National Nuclear Security Administration (NNSA) is seeking? Peurifoy: First, I am in favor of upgrading facilities that are decaying and dangerous. I would support upgrades to the PF-4 and the Uranium Processing Facility if, for example, old tools are wearing out or if more stringent safety standards are called for. However, I believe the expansion of plutonium pit manufacturing capacity has not been shown to be necessary; the need should be justified based on the length of time that plutonium pits remain serviceable and the size of the stockpile. Neither parameter is available. Until they are available, I would terminate all expenditures for expansion, including funds for the Chemistry and Metallurgy Research Replacement Project-Nuclear Facility. I would put the test site on cold standby. ATN: Some people say that U.S. weapons were designed very close to the edge of workability during the Cold War when the military preferred lightweight weapons to allow ballistic missiles to carry more warheads, and that they should be modified to increase their margins. Do you agree? Peurifoy: No. Performance margins are not a constant. U.S. nuclear weapons are basically two-stage: a plutonium pit in the primary undergoes a fission explosion, and if the yield is large enough, ignites a much larger fusion explosion. The first explosion is helped along by the fusion of tritium and deuterium gas (forms of hydrogen) in the primary, which produces lots of neutrons and boosts the size of the fission explosion, thus ensuring the primary explosion is enough to trigger the secondary fusion explosion. Thus, as long as there is enough primary yield (which is related to the amount of tritium), the larger secondary explosion will take place. You can think of the difference between the amount of tritium in the primary and the minimum amount needed to ensure the primary explosion is big enough to ignite the secondary as a performance margin. However, tritium decays rapidly – half will disappear over a period of some 12 years. Thus, the margin declines as the tritium decays. The tritium has to be replenished periodically so there is always enough to ensure the secondary explosion will occur. 2) If the margins are satisfactory with new bottles of tritium, over what period of time will the primaries retain adequate margin? The answer determines the bottle replacement interval. Back when we were first building our weapons, the tritium bottles were replaced every 4-5 years. At that time there was a tradeoff between the amount of tritium and the amount of plutonium that the DoE reactors could produce, and there was a need for more plutonium so less tritium was produced. Now we can start with more tritium and replace the bottles less frequently.